Table B-3 lists all duration fields available in Microsoft Project. For more information about durations, see "Setting Task Durations" on page 138. The amount of time that actual work has been performed on a task, up to the current date. The amount of overtime work already completed by a resource on a task. The amount of work already completed by a resource on a task. The amount of actual overtime work reported by a resource and retained on Project Server, regardless of whether the project manager changes the amount in the project plan. 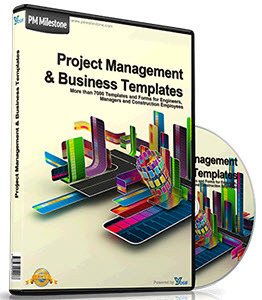 The amount of actual work reported by a resource and retained on Project Server, regardless of whether the project manager changes the amount in the project plan. The amount of time between when a resource is assigned work and when a resource begins work. time originally planned to complete a task. hours originally planned for a task. duration values for Baseline 1 through Baseline 10. The amount of working time between a task's start and finish dates. between a task's baseline duration and total scheduled duration. between a task's early start and late finish dates. baseline start date of a task or assignment and its current finish date. The amount of time that a task can be delayed before it will delay a successor task. The amount of time that a task is behind schedule. This time must be recovered to prevent delays for successor tasks. task duration for PERT Analysis calculations. Duration task duration for PERT Analysis calculation. of available resource time not currently allocated to any task in a given time period. time required to complete a task. The amount of time that a task can be delayed without affecting a successor task's start date or a project's finish date. Calculated by measuring the difference between a task's early start and late start dates. baseline start date and the current scheduled start date. The amount of time that a task can be delayed without affecting the project's finish date. The total scheduled amount of work assigned to a resource. amount of time that a resource is available to be assigned work during a specified time period. line work and scheduled work.